After a series of fits and stops that threatened to derail a historic year, Colombia may finally have peace. Just like the legislature’s higher chamber, Colombia’s House of Representatives has voted unanimously in favor of the nation’s revised peace agreement to end more than a half-century of conflict with the Revolutionary Armed Forces of Colombia (FARC). Congressional ratification is believed to be the final logistical hurdle before the deal can be officially implemented, although the 130-0 vote — just like the 75-0 vote in the Senate a day earlier — was marked by the opposition party boycotting the proceedings. The next steps to actually implementing all the provisions the 310-page document will move slowly. 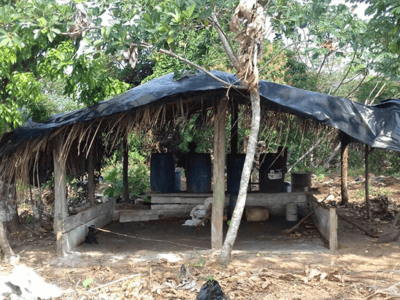 Those against the accord may continue to try to derail progress by instituting logistical roadblocks in what has moved from a conflict to a negotiation to a bureaucratic process for removing FARC combatants from the field. And some judicial hurdles remain in terms of defining the timeline. Once the official demobilization process is begun — the so-called “D Day” — a 180-day window will begin for the guerrillas to demobilize and hand over their weapons to the United Nations monitors assigned to oversee the end of the organization as a military faction. Demarcated zones are being finalized, and FARC members will begin moving into these areas once D Day hits, which could possibly come this year or drag on in limbo for months. The longer the process takes, the more risk there will be of disgruntled guerrillas abandoning the plan and returning to crime under a different (or no) banner. For Santos, this is a formal finale to a peace process that has taken at least four years of official negotiations on top of earlier back-channel talks. 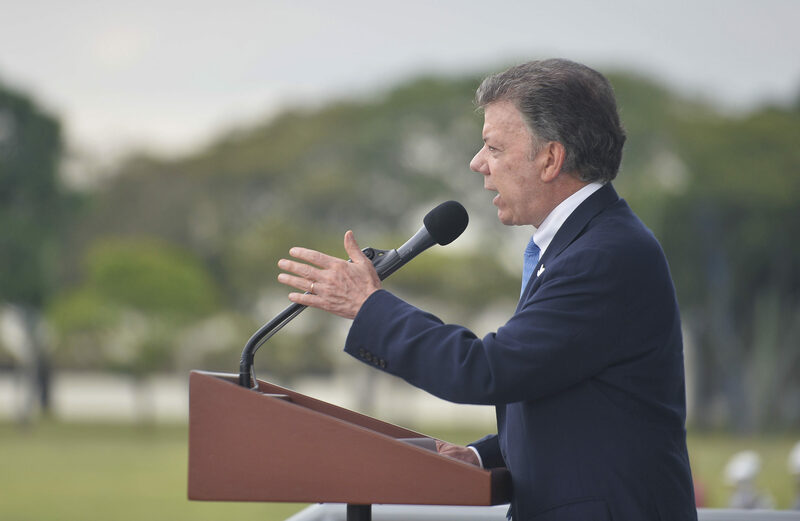 “Grateful to Congress for its historic support of Colombians’ hope for peace,” said the president on Twitter. Throughout his career-defining push to end the longest-running conflict in the Western Hemisphere, there have been many moments when it all looked ready to unravel. Never was the process thrown further into chaos than when Colombians struck down a previous version of the deal in a nationwide plebiscite on October 2. 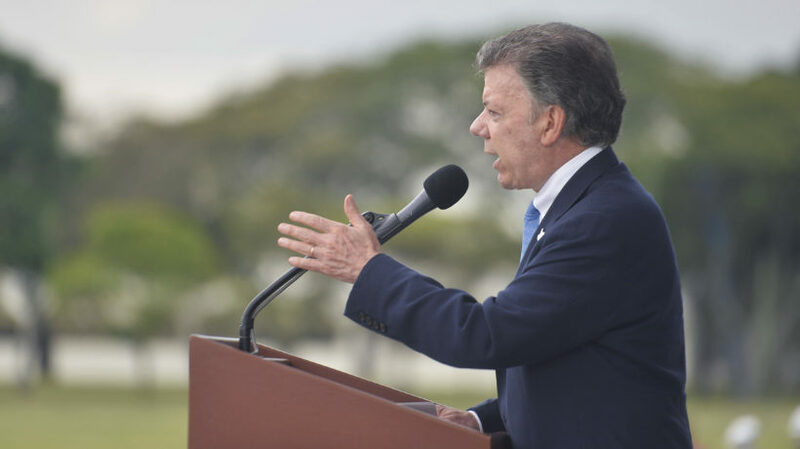 Santos was awarded the Nobel Peace Prize later in October despite that outcome in a move that many believe was intended to put pressure on Santos and his political rival, former President Álvaro Uribe. The ex-president and current senator’s Democratic Center party has been fighting the current president’s approach to negotiations since the outset of the talks. 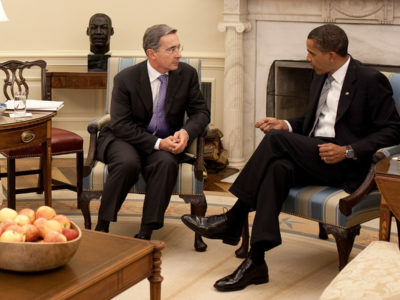 And Uribe remains defiant against a agreement that he and his supporters feel is much too lenient on war criminals and overly generous in allowing political participation for a guerrilla group that plunged Colombian into a conflict that killed at least 220,000 people and displaced some seven million. Even the most egregious human rights violators — as long as they cooperate completely with the justice tribunal — will only receive maximum eight-year sentences. Their time won’t be spent in a traditional jails, but instead in designated locations designed to ensure they are imposed with what has been called a restriction of freedom. FARC, after it turns in its guns and re-brands into a political party, will also get a guaranteed 10 seats in Congress during the nation’s next election cycle in 2018. Despite widespread criticism of this concession and cries for at least the worst criminal offenders to be barred from holding office, no additional restrictions or revisions were made to this section of the deal during the Santos administration’s negotiations to salvage peace. 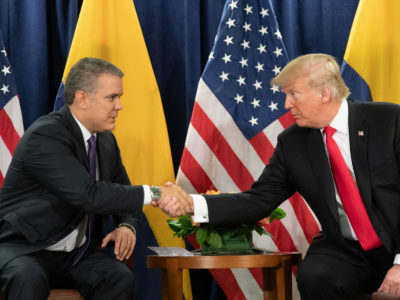 The president has said that, in the almost six weeks in between the plebiscite that struck down the first deal and the announcement of the new agreement, some 500 recommendations from Uribe supporters and other stakeholders were considered. And in all, 56 of the 57 provisions were edited. But the most contentious issues remained little changed. So as millions celebrate the end of conflict, millions more — with Uribe serving as the face of the movement — are lamenting what they see as Santos circumventing the will of the people. After renegotiating a deal that left much unchanged, he went to a Congress controlled by his party and supporters rather than again risk rejection at the ballot box. FARC’s days of fighting with AK-47s and landmines may be over, but the political battle remains ongoing in Bogotá. The guerrillas have 180 days to disband, but the opposition could continue trying to undermine the peace indefinitely by attempting to block legislative rulings on the dozens of provisions that now need to be implemented. Whether they maintain a hardline stance or begrudgingly accept a deal they cannot stomach will prove critical in determining the tenor of what Santos has always said would be stable and lasting peace.